Bill Dalbec, managing director of APCO Insight in Washington, D.C., provides opinion research, message development and strategic communication services to corporations, associations, nonprofit organizations and issue-based coalitions on public affairs campaigns. APCO Insight is the opinion research division of APCO Worldwide. Mr. Dalbec has conducted research at the local, state and national level across the United States and in 30 foreign countries. His expertise lies in understanding the connection between the rational and emotional components of decision-making. Mr. Dalbec uses this understanding to develop communication that change attitudes and motivate behavior. In the nonprofit arena, Mr. Dalbec led the research team that assisted the American Red Cross in the development and rollout of the enterprise’s positioning theme Together, we can save a life. He also worked with the Red Cross to develop their Donor DIRECT program that ensures that every donor’s intention is honored when they contribute financially. Mr. Dalbec led the opinion research work that helped the UN Foundation develop the Shot@Life brand for their vaccines campaign. His work with Share Our Strength supporting their Cooking Matters and Teachers Study initiatives has been used to further highlight for policy-makers and the media the importance of ending childhood hunger. On the public affairs front, Mr. Dalbec specializes in assessing the political reputation of enterprises among their key stakeholders and providing strategic counsel to initiative and referenda campaigns. He provided strategic and communication counsel to the largest higher education bond campaign in the United States, which passed with 71 percent of the vote, supporting the universities and community colleges in North Carolina. His work for one of the largest U.S. nonprofit hospitals assisted the client in understanding their image in the communities they serve; this work led to a communication strategy that enabled the client to avoid further scrutiny from the U.S. Senate Finance Committee. He regularly conducts message development research for public affairs issues to assist in campaign development; recent policy areas have included health care, financial services, energy, nutrition, beverages and taxation. In the political arena, Mr. Dalbec has worked on hundreds of political campaigns across the United States and internationally. He has conducted opinion research and provided political counsel to two U.S. and three international presidential campaigns. Mr. Dalbec has directed statewide polling projects for candidates and issue campaigns in 18 states including North Carolina, Michigan, California, and Maine, and congressional and local races in most other states. Most of his political work currently is focused on ballot measures. Mr. Dalbec brings more than 20 years of experience to his position at APCO Insight. Prior to joining the firm, Mr. Dalbec led the public affairs and association research practices as a vice president at Harris Interactive. He also served as a senior research executive at WirthlinWorldwide, focusing on research for association, nonprofit and issue campaign clients. Mr. Dalbec was formerly the executive vice president and managing director at Public Opinion Strategies, a leading political campaign firm. Mr. Dalbec’s work was recognized in 2003 by PRWeek for the “Best Use of Measurement or Research.” He is a frequent lecturer on opinion research, communication and political campaign topics for corporations, associations, nonprofits and universities. Mr. Dalbec has been published and quoted in a number of leading publications, including The New York Times and The Wall Street Journal. Mr. Dalbec holds a Bachelor of Arts in political science and business administration (marketing) from Alma College. 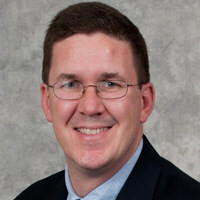 His continuing education includes graduate study at The American University and participation in professional seminars.